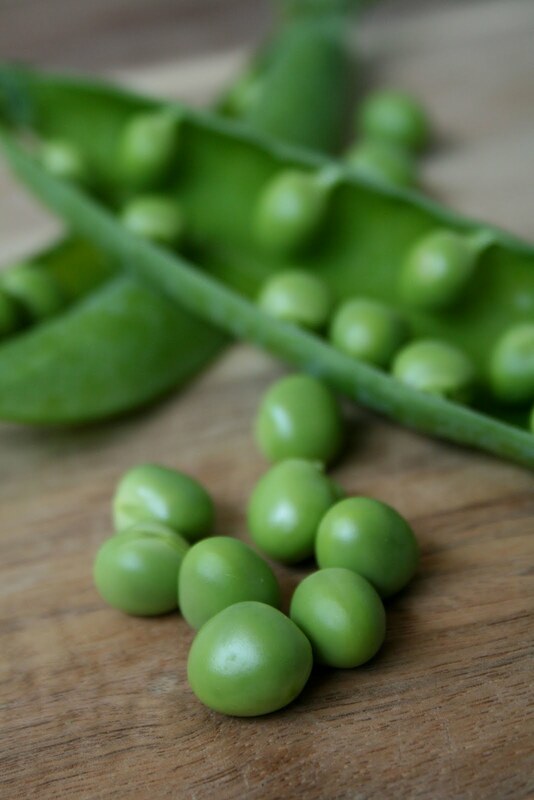 English Pea is one of the ingredients that make me feel and realize that spring has just come. Earlier years after I moved to the U.S., I didn't know I can get this tasty little jade looking thing. I didn't go to any farmer's markets that often. I did keep looking for at them at grocery stores, but was disappointed every time when I only found snow pea, green beans, or snap peas. So I missed those little peas every spring. So, I was so happy when I can buy at local farmer's market. Yesterday, I went and bought some! I cooked goulash and added some of these little green gems into my goulash and it made the whole dish much better. I really can taste the difference between the fresh and the frozen ones. I love to enjoy as many as possible while it's in season.